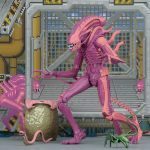 The Xenomorph Warrior arcade version action figure perfectly captures the essence of the arcade game. 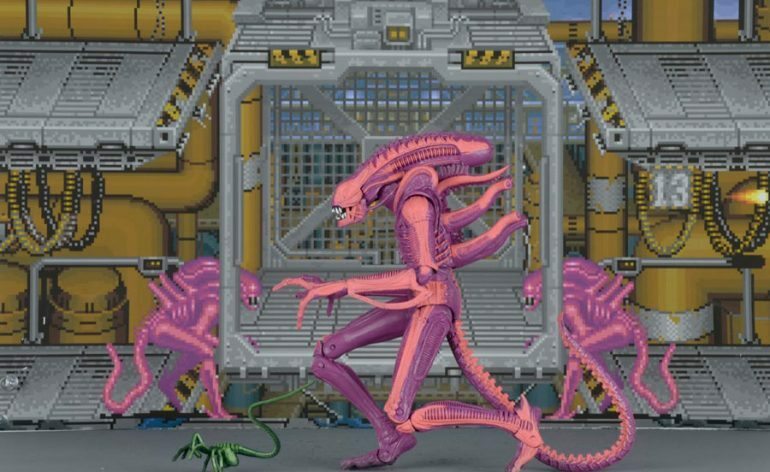 Despite the excessive alliteration with this figure (Alien, Arcade, Adventure, Appearance), how cool is this purple Xenomorph Warrior arcade version action figure? Insanely cool I tell you! For one, it’s pink and purple, and for two, it looks like a pretty awesome figure on its own. 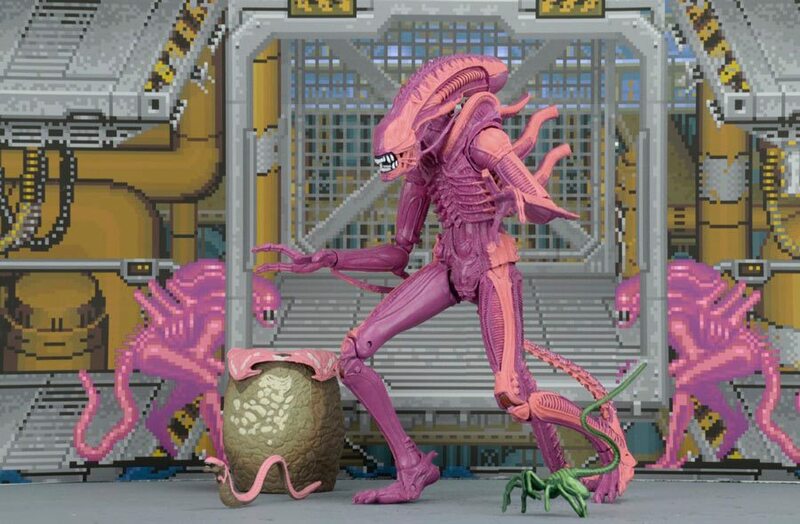 Also, anything that is inspired by classic arcade games is fun and nostalgic for many collectors. 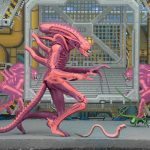 How tall is this Xenomorph Warrior? The figure stands at 9 inches tall. Or maybe 7 inches (17.8 cm). On some sites, it refers to it as a nine-inch figure, and others, 7. 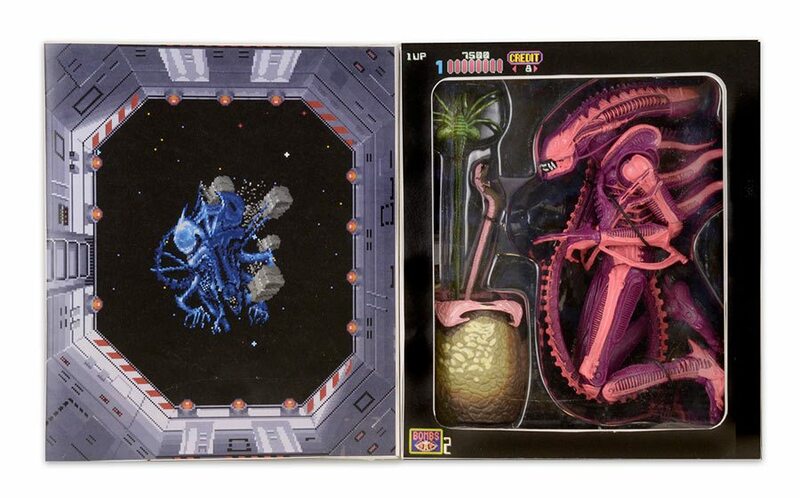 NECA’s site actually lists both, saying “7-inch” in the title, but “9-inch” in the body. 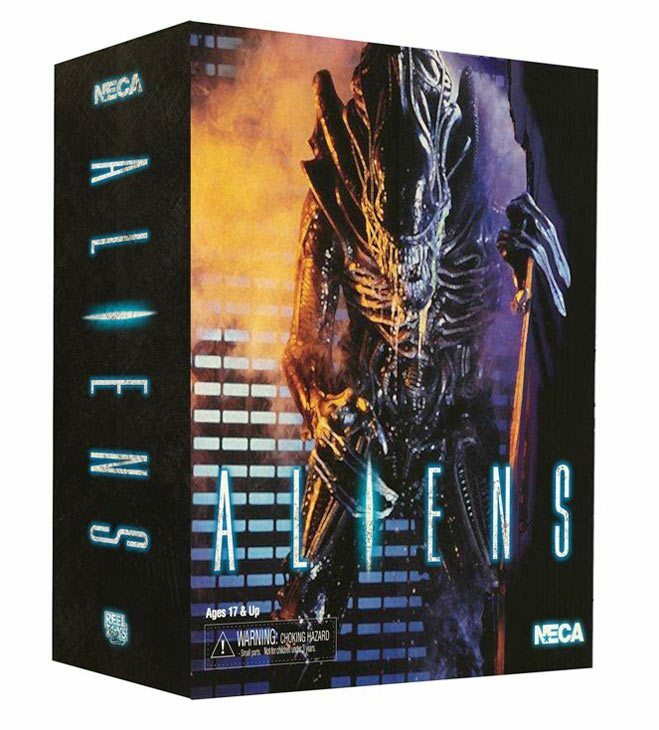 But we’re going with 7, as their other Aliens figures are of the 7-inch variety. Dang typos! 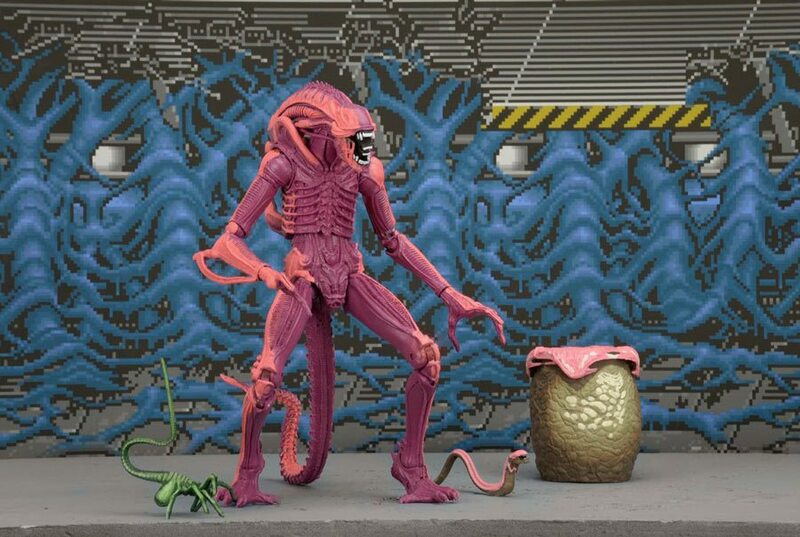 This fully-articulated alien monstrosity features nearly 30 points of articulation including a poseable tail! 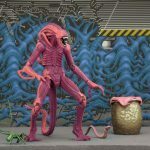 I love when manufacturers include a bendy tail on Xenomorphs, because in the films and such their tail is one of their most relied upon tools and weapons. 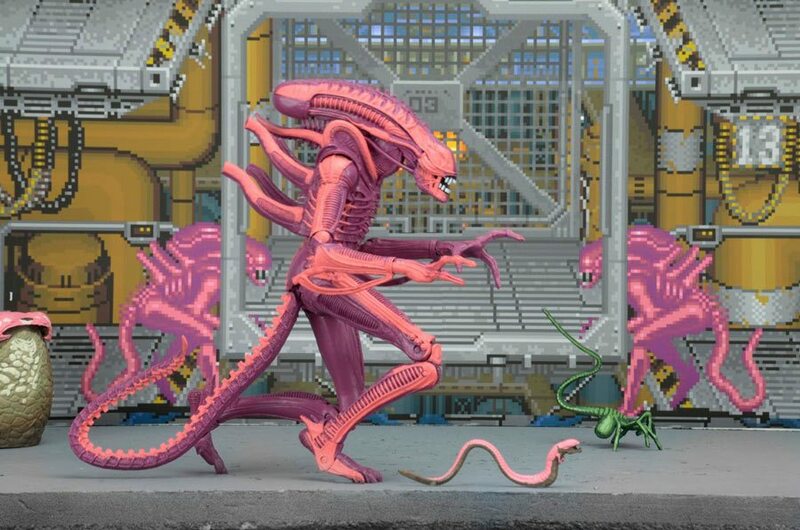 Getting a Xenomorph with a stiff tail is like getting a Punisher action figure with no weapons. Not awesome. Do we get any accessories? 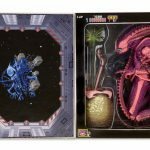 The Arcade appearance Xenomorph comes complete with an accessory of every point of its evolution: an egg, a Facehugger, and a Chest Burster. Additionally, though it isn’t technically an accessory, the artfully decorated 5 panel window box replicates the appearance of the actual arcade game from the 90’s, which makes it cool enough to be an accessory in my opinion. When can I get it, how much does it cost, and when will it ship? 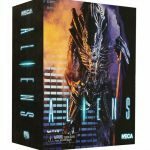 You can preorder it online now over at Entertainment Earth for $24.99, and they’re expected to start shipping in January! Not too bad of a wait for this epic Arcade-style figure. 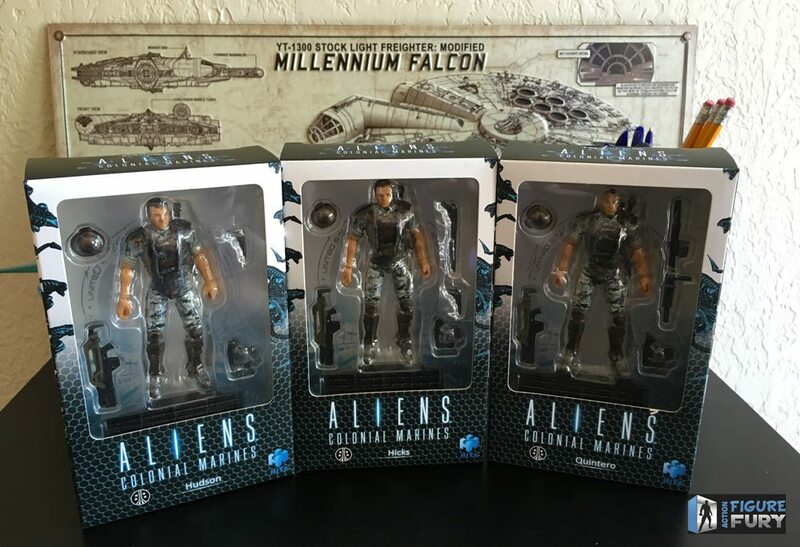 Also, don’t forget the Hicks and Hudson 2-pack NECA is bringing back!